The Good Egg is very busy running around after everyone. He is always helping them do things, like carrying groceries, painting houses, almost anything you can think of, the Good Egg is in there trying to help. His eleven companions are not so helpful. In fact they are often naughty and lazy. Poor Good Egg has had enough and he begins to feel sad and unwell. It’s not always easy being good. Sometimes it actually becomes too much and the Good Egg finds out the hard way; that sometimes you have to stop and just look after yourself and let others be responsible for themselves. Being kind is always the right thing to do, but you also have to be kind to yourself. 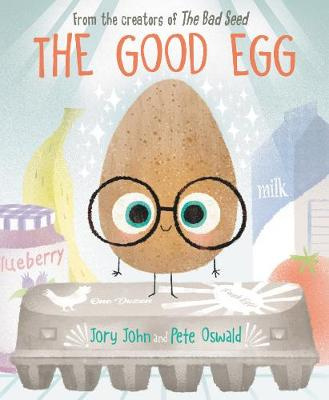 An eggcellent idea and example in a wonderful companion picture book to The bad seed by the same author and illustrator. I hope there is more to come from these two. 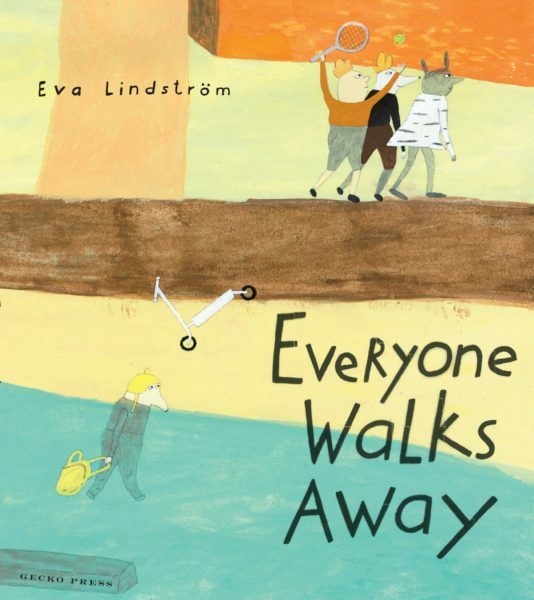 Great picture books with humour and worthwhile messages. 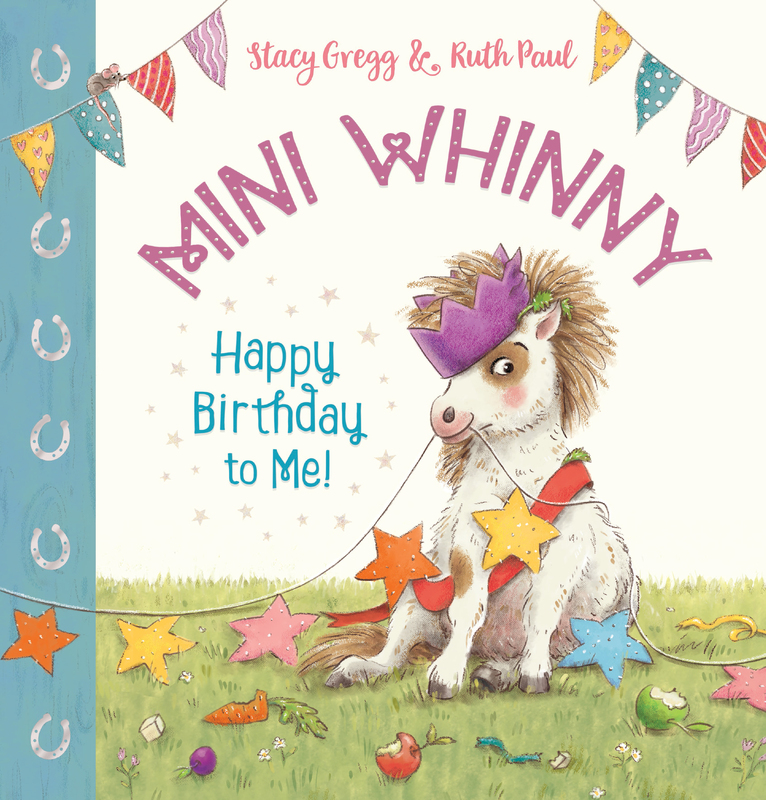 Great for school libraries and teacher read-aloud. There is always a good egg and a bad egg in every class. 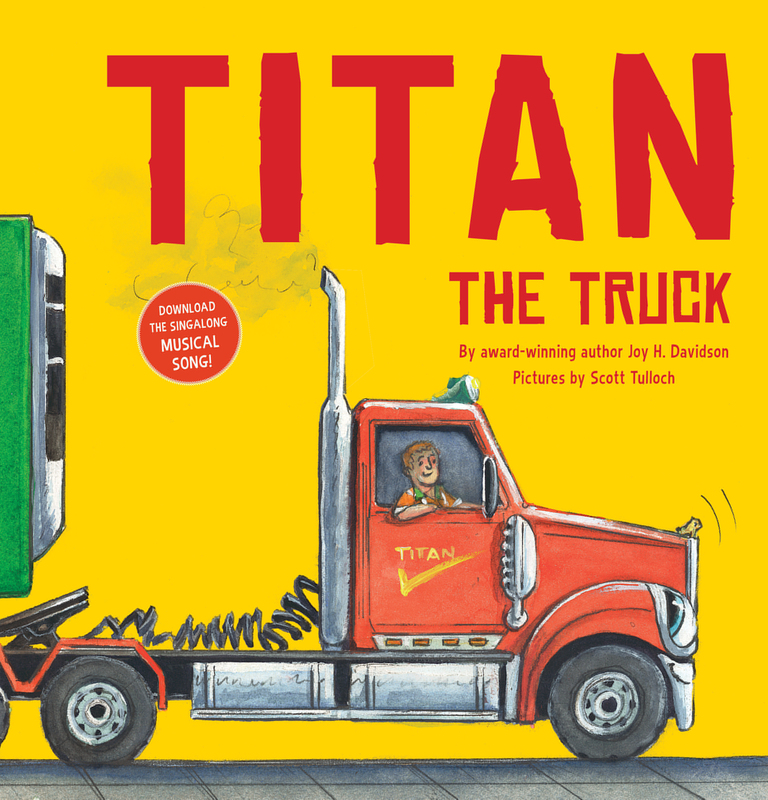 Two new picture books from Scholastic aimed at younger readers. One young girl deals with fear of the unknown, and a young boy deals with an unwanted distraction but both have elements of humour which is always good. Both have lovely endings. 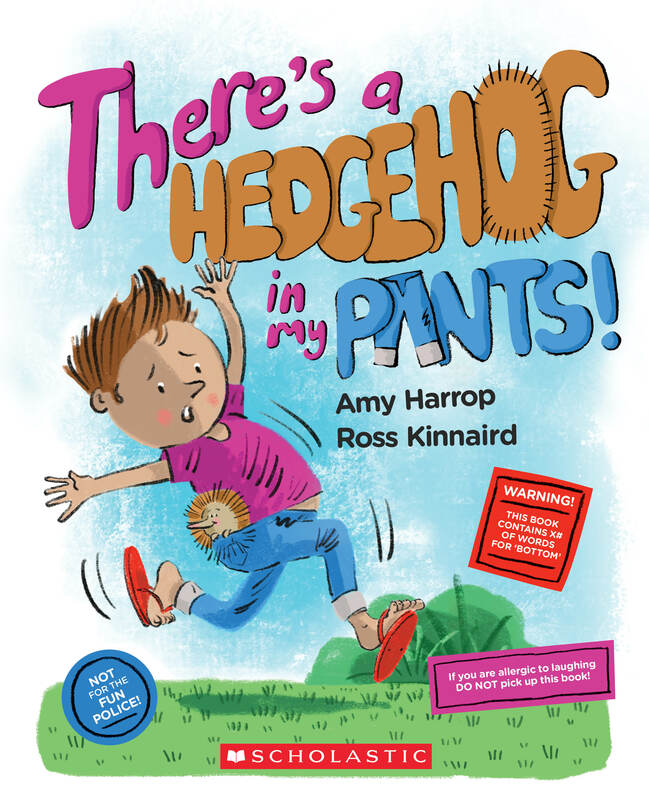 A little bit of lighthearted fun about an unwelcome hedgehog who takes up residence inside a young boy’s pants. The trouble is the boy is wearing his pants. The prickly creature will just not leave. No matter what the boy does, the hedgehog is firmly tucked up inside his pants. He tries dancing and shaking his bottom, even tries yelling at the hedgehog hoping to scare it away but no luck. He is running out of options. 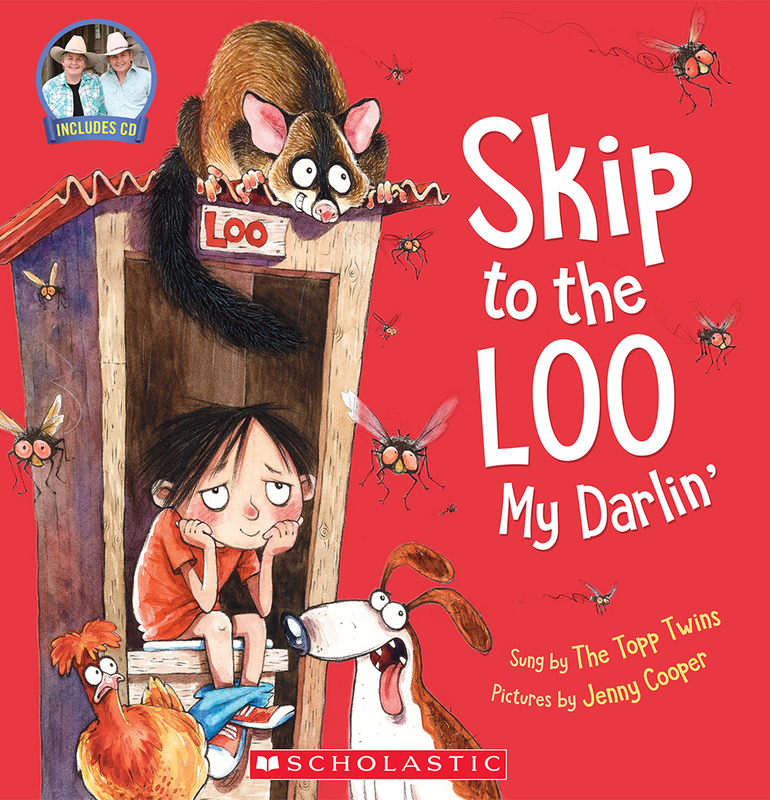 A funny, rhyming picture book with brightly coloured and comical illustrations which will delight those readers with a more wicked sense of humour. “Look in the water, Ma! A young girl goes to the beach with her two mothers hoping to have a wonderful day playing in the sand, swimming in the sea and just spending time together. However, it turns out that every time the young girl steps in the water, she feels things touching her. It’s great to see how once she discovers whatever is touching her is safe, her fears slip away. 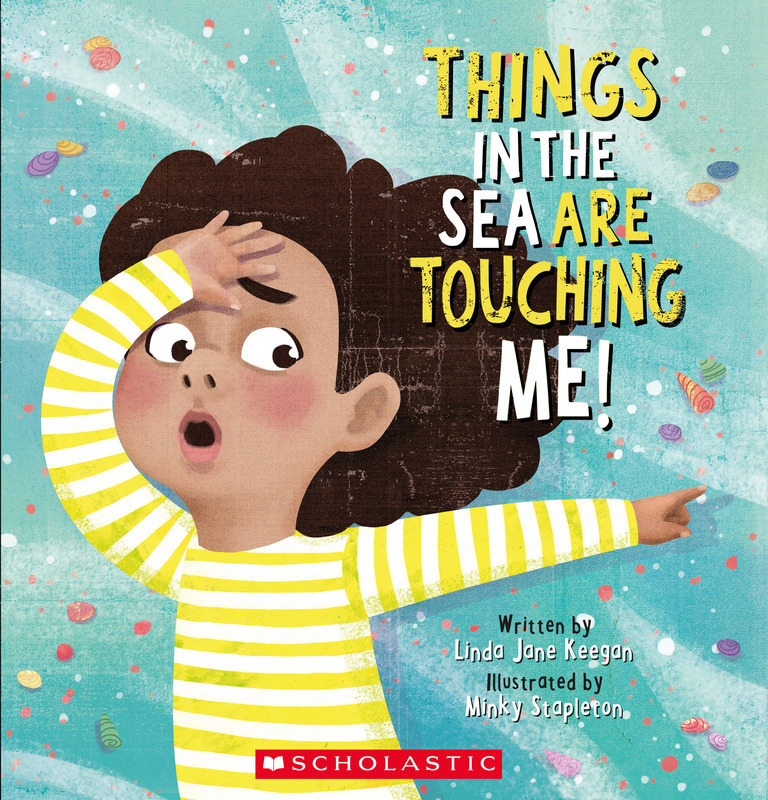 A good book to read to young children who might be afraid of the sea, or perhaps might just be a bit more anxious than other children. It’s good to see diversity in picture books too. There will surely be children who recognise themselves in this picture book. Her fears show up in the darker illustrations while the safety, joy and love of family show up in illustrations with more bold and bright colours. I love this very special and very moving picture book about a young boy, James, who witnesses the declining memory of his much-loved grandfather. The impact of his grandfather’s condition affects everyone. Memories are what hold us together and when those memories fade, the loss can be tragic. James is struggling to understand how this is happening. The boy and his grandfather have a special relationship. They spend many hours together, camping and fishing, and always grandfather shares stories about his life. Each memory is stored in a bright coloured balloon but as his memory fades, balloons slowly float off, taking the memory with them. There is a double paged spread where James is chasing the balloons, reaching high but the balloons are just out of reach. To use one of my dearest friends phrases, I had “leaky eyes”. A big leak! This is powerful and poignant and such a beautiful way to help young people understand conditions such as Alzheimer’s. As moving as this book is, it is also gentle, kind and just a little hopeful. I have bought this for the school library but this is one to add to my own collection as well. 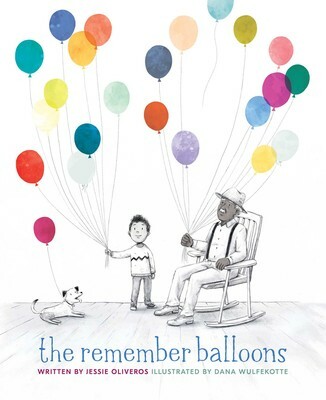 The beautiful illustrations limit colour to the balloons and their memories, which helps focus the story and its theme on memory loss, its impact and love. Just beautiful. Saying goodbye to Barkley by Devon Sillett @ladyliterology @EK_Books : a gentle way to deal with the loss of a family pet. As every parent knows, the loss of a pet can be traumatic for the whole family. Pets are very much part of family life and the death of such a beloved animal affects children in different ways. Saying goodbye to Barkley is a sweet and gentle picture book where Olivia deals with the loss of Barkley, her wonderful crime-fighter sidekick. Olivia and Barkley did everything together. Their friendship is real and her grief after his passing is also real. There is a happy ending which is great. A good way to deal with death of a pet and open up discussions in a gentle way. Everyone’s favourite wolf is back. The strong and handsome, if somewhat egotistical wolf, returns for another adventure. We first met him in I am so strong and I am so handsome. This time wolf wanders through the forest and is eager to eat Little Red Riding Hood and her Grandmother. Nothing seems to go in his favour and every time he does get close, someone or something from the fairy tale world gets in his way. 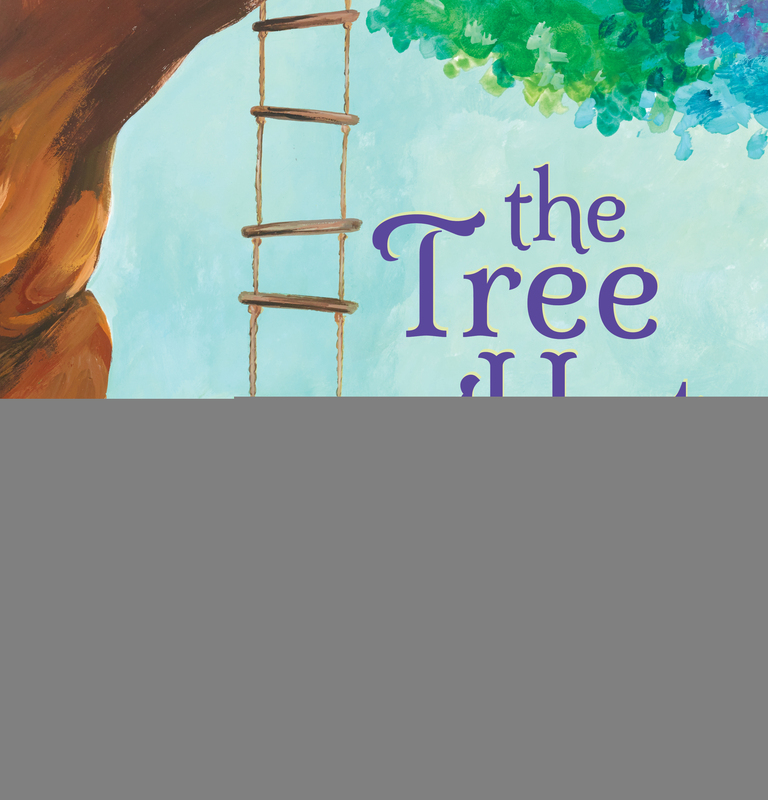 Between the pages of this picture book we meet the likes of the three little pigs, the seven dwarfs and a few more characters that children will recognise. Great for a fun read. 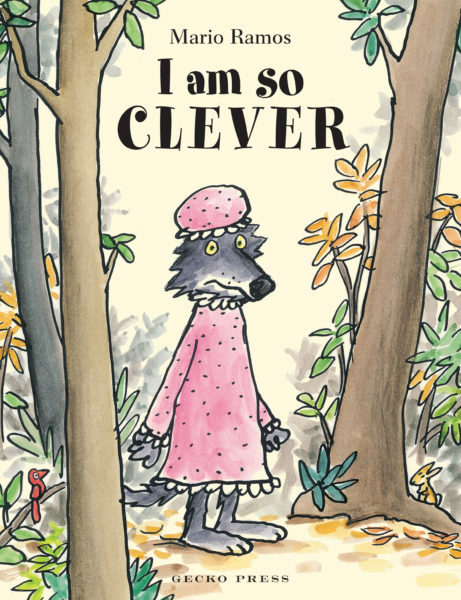 Many teachers do lessons on fractured fairy tales and the delightful twist here with our humorous and familiar wolf, makes this a perfect choice to use in such lessons. Frank is lonely. He doesn’t fit in or feel any sense of belonging. Everywhere he goes Milan, Tilly and Paul exclude him. You can see how much he wants to be part of their group and you can see their sideways glances at him but he always ends up walking away. There is certainly a sadness to this picture book and the illustrations highlight the feelings of isolation as Frank looks small compared to the landscape and his surroundings. The eyes reveal so much about the different character’s feelings which is not always easy to achieve in children’s book illustrations. Frank goes home alone and makes special jam from his own tears. What happens next is also kind of special too. This book deals with issues of loneliness, exclusion and cliques and we can see the impact it has on Frank. It is an important book to share. 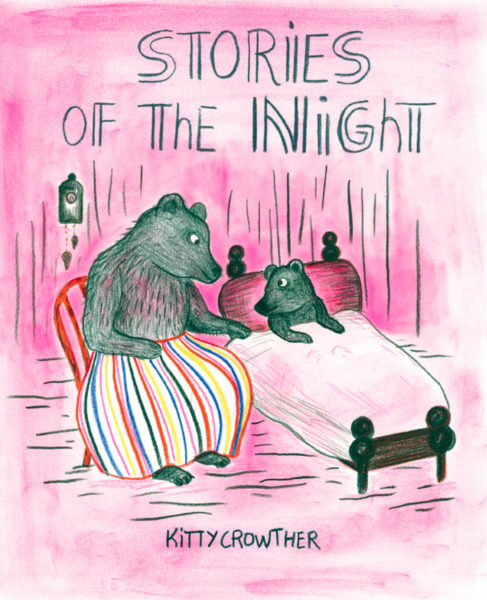 Little Bear asks Mother Bear very politely if she will tell three stories before bed time. Mother Bear obliges and while sitting comfortably on her chair, she begins the stories. The number three has always been significant in fairy tales so having three stories within the one story retains a special fairy tale quality. The stories are about the night and some of the wonderful things that happen during the hours of darkness. There is a gentle philosophical approach to them which is appealing. We begin with the Night Guardian and her rituals for getting animals to go to sleep. We move on to a child searching for the best blackberries, and then a man in an old coat who never sleeps. In the end we discover that what matters most in the world is friends and family. The illustrations are a glorious pink reminiscent of the hours when the sun is going down, or coming up in the morning. As Little Bear falls asleep the characters from the stories come to visit in dreams. The glowing pink that surrounds the room and the dream, creates a wonderful warm fuzzy feeling. The illustrations have a retro childlike quality to them which I found delightfully nostalgic. A gorgeous quality story book, to share some quality time together with children. 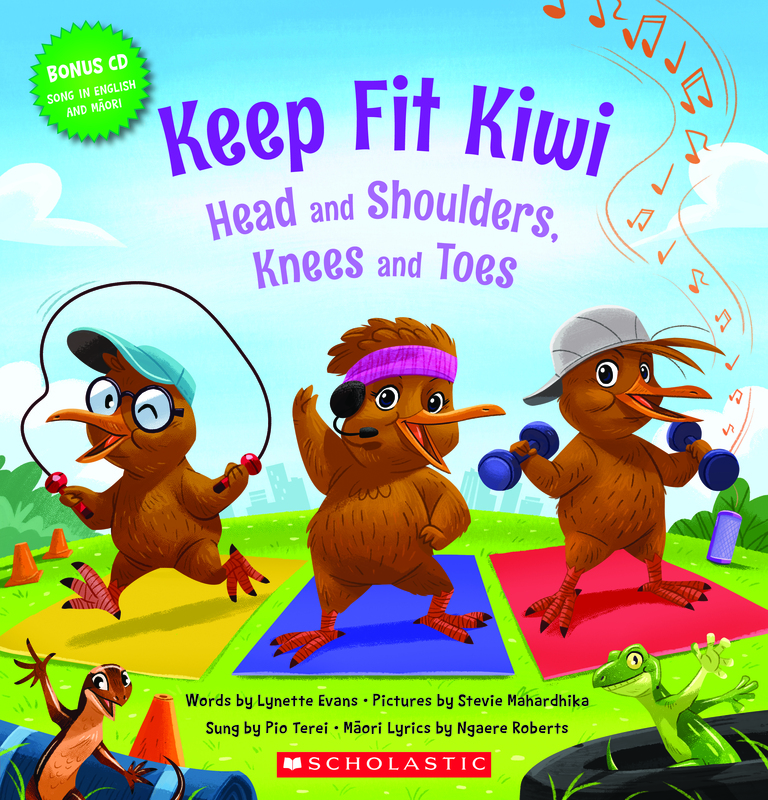 Some new titles for young readers from Scholastic NZ. Kiwis, Koalas, camping, new immigrants. Lots of fun and laughter. Scott Tulloch has a way with humour. He hooks his readers in with quirky, weird ideas and young readers love it. The more bizarre the better, it seems. With very short chapters, this book is great for readers who love a giggle, but also love a quick and easy read. The illustrations are simple and comical but very expressive. There is a lot of trickery going on here but things do even out in the end. 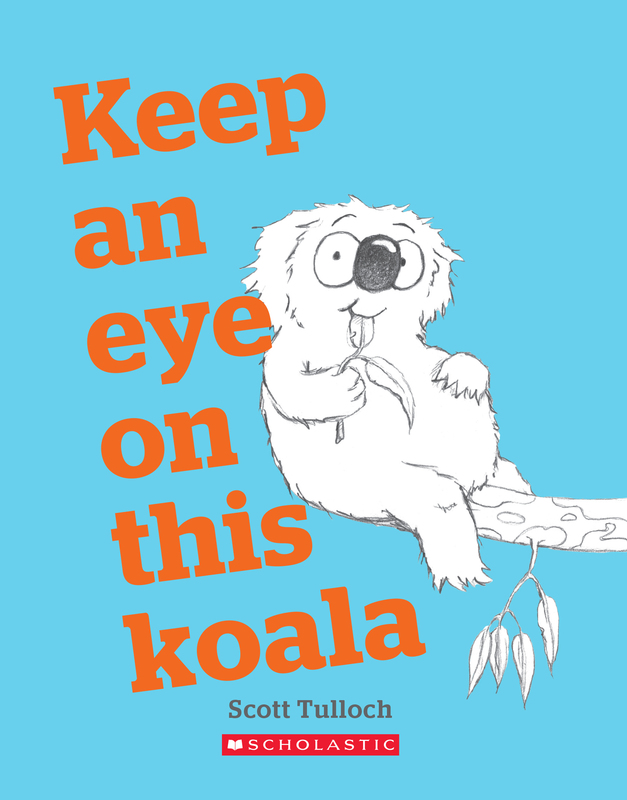 Koala and Cockatoo look straight at the reader challenging them to perhaps take sides, but mostly, to join in the fun. 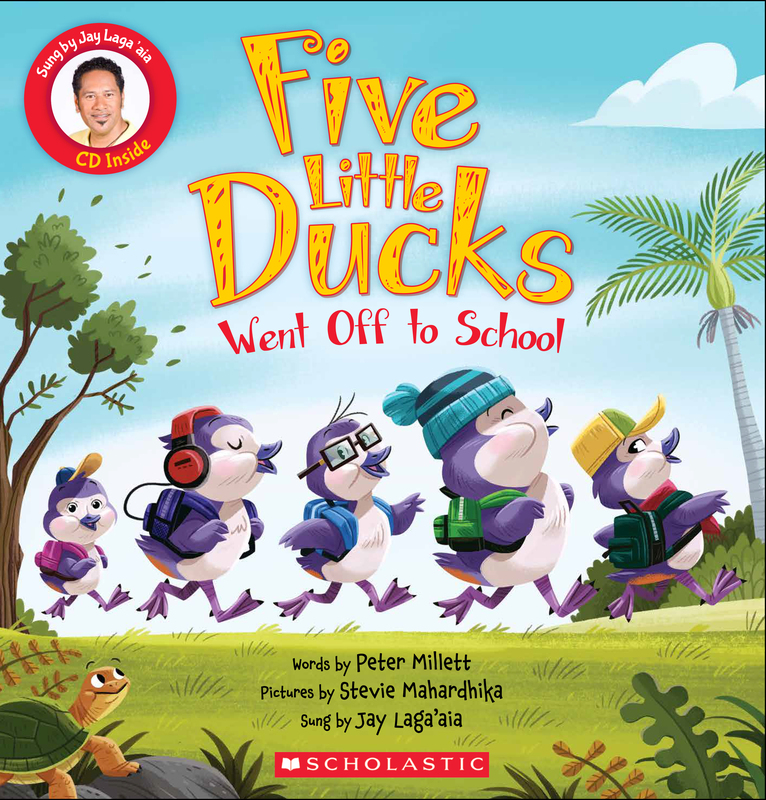 As an early reader chapter book, Scott Tulloch and Scholastic have combined all the elements to get children eager to read. 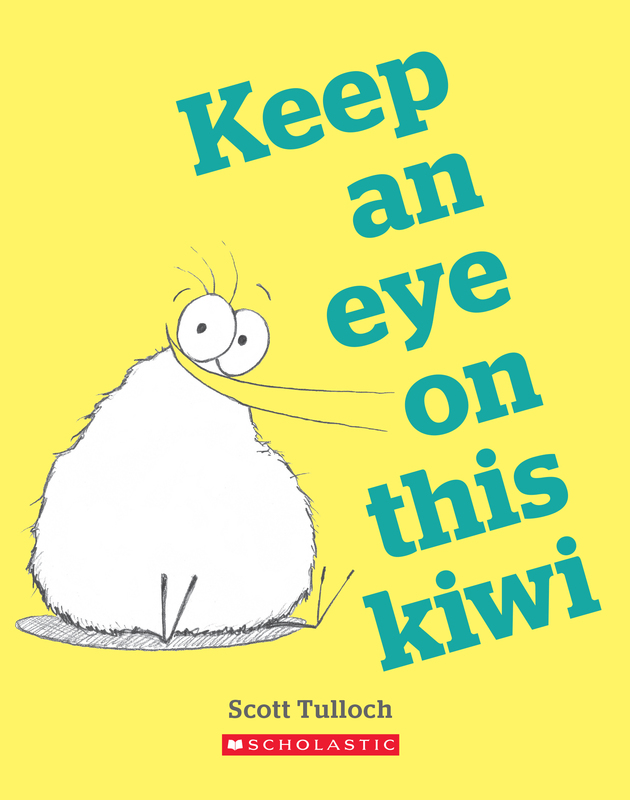 There is humour, illustrations, short chapters and a bright yellow eye-catching cover. We meet Kiwi and a bunch of huhu grubs for some fun and Tulloch trademark cheekiness. 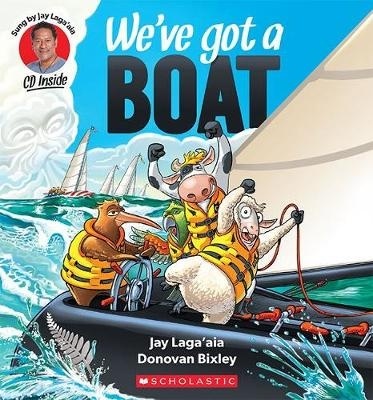 This is a lovely picture book to gift to new arrivals to New Zealand. It is an inclusive look at our culture and the people who make up our wonderful country. I love all the greetings in different languages towards the middle of the book. There is also a glossary of Maori words and their translation on the back cover for quick reference. New arrivals are introduced to many of our wildife, our fauna and even our traditions. 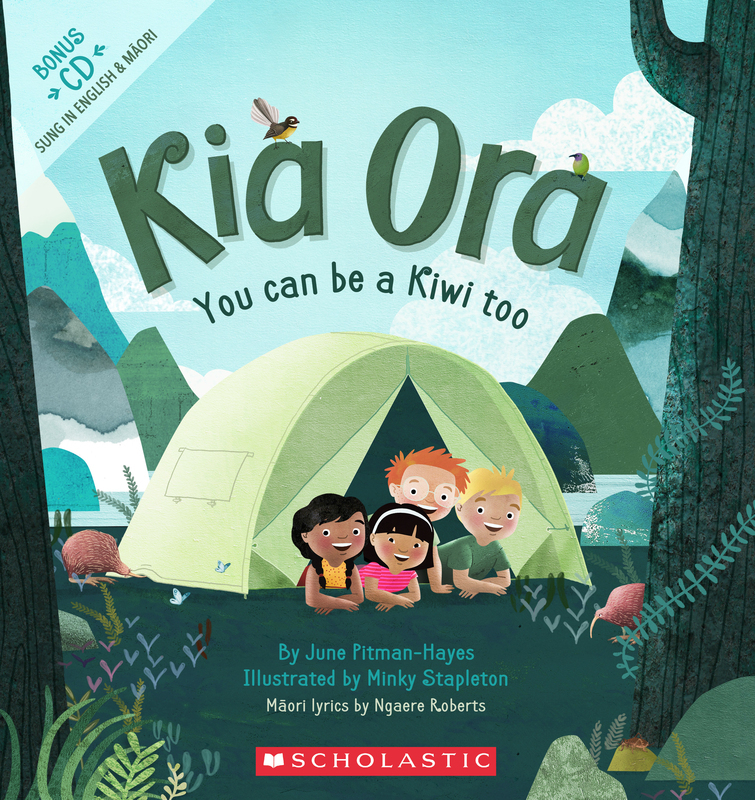 The book and CD are in both English and Maori. A lovely book to give as a gift but also a lovely reminder of the reasons I love New Zealand. 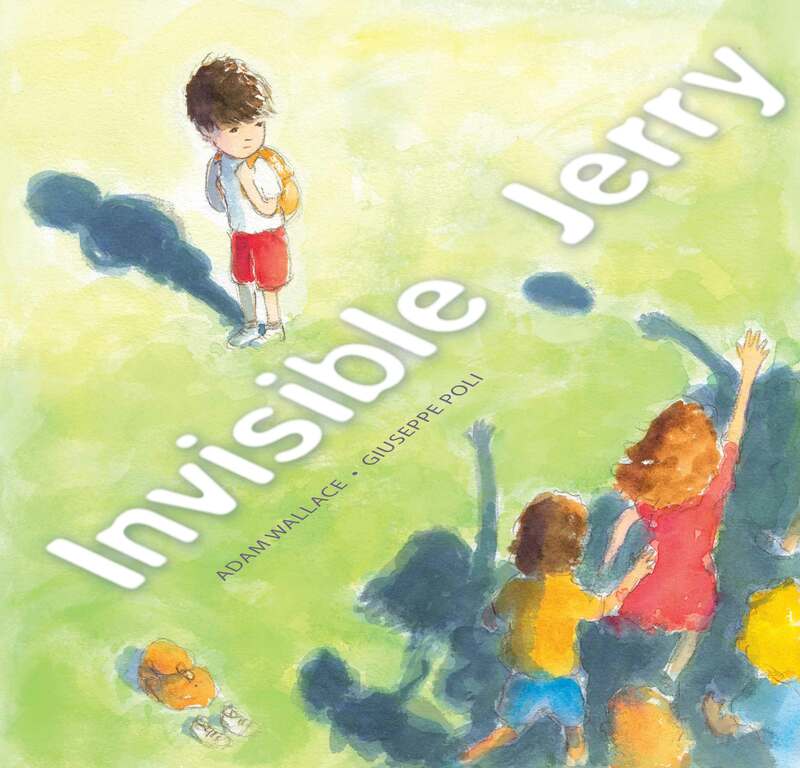 A thoughtful yet subtle picture book dealing with the issue of domestic violence and the affect it has on a young girl. Flick lives at the end of Holyrood Lane where the beech woods stand tall. Flick is a happy child, dancing with butterflies in spring time, basking in the summer sun and playing with the leaves in Autumn. However, winter storms are far from a happy place for Flick. The storms are a metaphor for when home is not a safe place, when the house is full of anger and fear. Domestic violence is hinted at but is not mentioned. The good days have lovely, sweet and warm coloured illustrations but the bad days have grey and black broody clouds and Flick’s happy face turns to one of sadness and fear. When storms hit, Flick is overwhelmed by the suddeness of it all and not knowing how long it will last or what will happen during the storm. Her companion through all the good and bad days is her faithful and very cute, soft toy unicorn. Flick is a courageous young girl because after a paritcularly dark and stormy day, she finally asks for help. She wants the storms to stop; to go away for good. Finally the sun comes out again but this time we know the sun will continue to shine and there will be no more storms. The story is all too often a reality for many children so it is lovely to see it played out here in such a simple and heartfelt way. This book, while touching on a difficult subject, does offer a happy and hopeful ending. For those wanting to investigate this book further, teacher notes can be found here. Many who have read this blog before know I am a huge fan of illustrator and author, Chris Riddell. 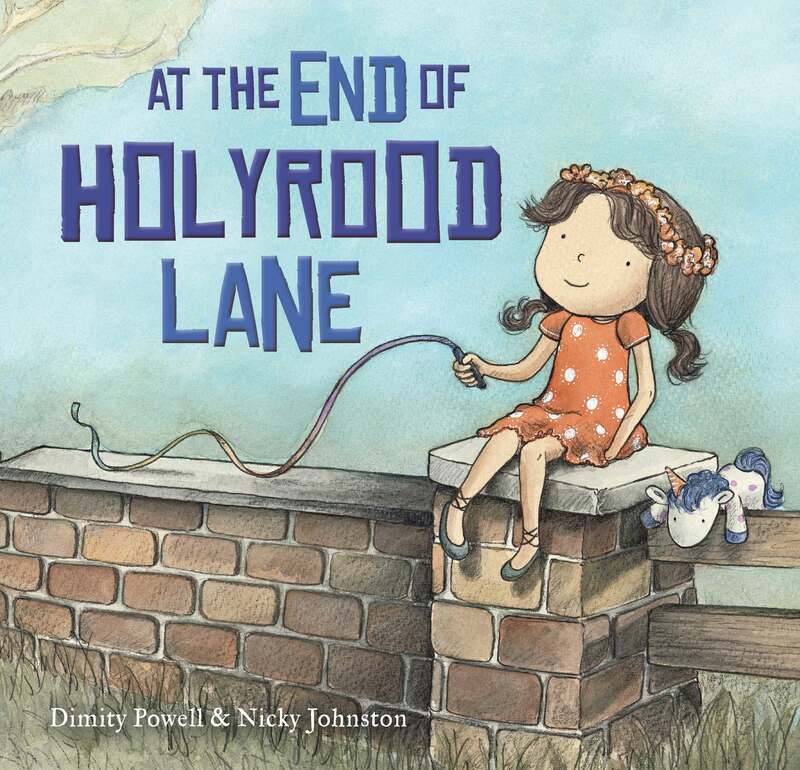 His newest picture book, the first in about ten years and only just released, is simply beautiful, stunning and a whole heap of other feel-good adjectives. It arrived at school today and I was so excited I pulled the wrapping off in haste and was smitten. Within in a few minutes I was ordering another copy for a teacher sitting next to me. Oh my goodness, where to start! The hardback cover has a cut out centre. 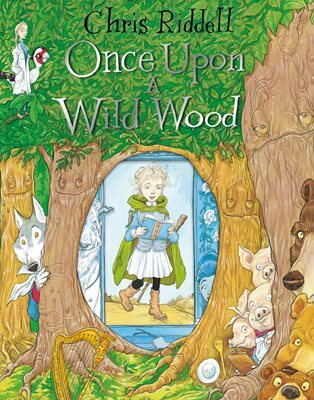 Little Green Rain Cape is framed right in the centre of the cut out, book in hand, as she steps in to the wild wood. We can see the different fairy tale characters peeking out from the trees, all looking directly at the reader. We can’t help but want to step inside the wood with her. Little Green Rain Cape enters the Wild Wood on her way to a party. Her backpack is full of all the things she might need on the way. She is wise and well prepared for almost anything. On her journey Little Green meets many of our favourite fairy tale characters but they are not quite where you think they might be. The stories are delightfully mixed up. The golden harp is very fickle and looking for a new owner. The three bears, the 12 dancing princesses, and so many other characters make an entrance. The trees too, are quirky and their facial expressions are gorgeous. They smile and frown and we can see their compassion and their own little personalties. I’m in love with the colourful illustrations and the magic and story of the Wild Wood. I am also left hoping there just might be another adventure in the Wild Wood for Little Green Rain Cape. This is certainly a book to read again and again. Parents will enjoy sharing this with children and talking about fairy tales. Teachers will love it for so many reasons, not just as a picture book to read aloud, but a great resource for creative writing, fractured fairy tale studies and heaps more.